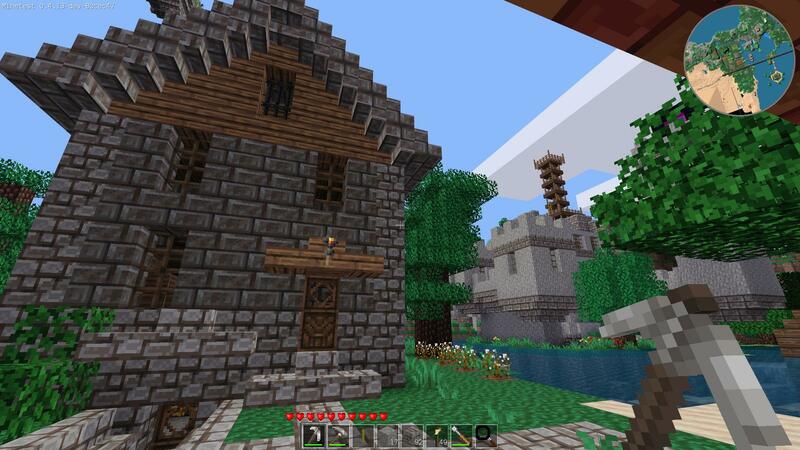 This is one of the better 16px texture packs out there and mcresconvert does an amazing job on this. Texmex has done a great job of continuing the conversion and adding additional mappings to minetest mods and nodes that can benefit from these textures. 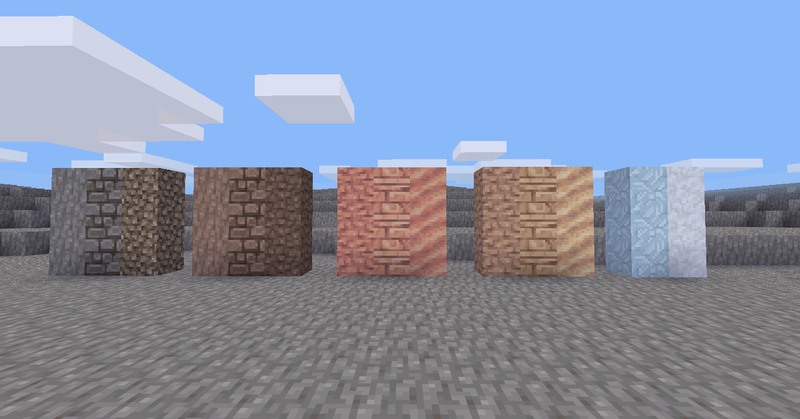 Combined, this is a well-featured MT texture pack that speaks true to many players for it's atmosphere and consistency. Last edited by sofar on Mon Feb 20, 2017 23:53, edited 3 times in total. This looks amazing, thank you for sharing! I've improved quite a few things to the mcresconvert project, so I've updated the zip file with the latest result! Thanks! I like it. Please post more! // Spotted cactus problem, posted on github for converter. Updated this to fix several found issues since the last upload, including cactus. i'm using pixel perfection for my subgame and did (and will do) a lot of changes for minetest specific and new textures. maybe i will use some of your modifications if they are better than mine. but i still like what you did. it gives a fresh look, since the colours and textures are really different. firefox wrote: i'm using pixel perfection for my subgame and did (and will do) a lot of changes for minetest specific and new textures. The conversion is entirely automated. I just run a script. It does a few coloring things based on minetest colors that doesn't always entirely fit because MC doesn't have certain stones as you point out. Wrong thread I belive, sofar! Or if you meant to reply to the above then that was in reply to firefox's PP edits. texmex wrote: Or if you meant to reply to the above then that was in reply to firefox's PP edits. Haia, I fixed up rails not converting, coloured steel tools to correspond to new copper and mese tools, coloured the yellow mese textures that weren't converted to green (i think i got all of them, altho i'm not sure entirely) got a nice map overlay from somewhere, forgot where + few other tiny things I forgot that I touched. How do u find the license for MC texture packs? GamingAssociation39 wrote: How do u find the license for MC texture packs? It varies heavily. Some post clear license statements online, or include them in the zip files, some don't. You gotta do the research yourself. Amazing, this Texture Pack will used in MineClone2 Game. This texture pack is awesome. Hi. I don't have any published mods yet. Bad. Bad because it it a Minecraft textures. But textures are very good. QwertyHi wrote: Bad. Bad because it it a Minecraft textures. But textures are very good. They're not minecraft textures. They are not copyrighted by mojang, and while they are originally meant to be used with minecraft, there is no limitation on the textures that prevents them from using them in minetest, or, any other game. It's resource pack for Minecraft. Okay, but I don't like copies. QwertyHi wrote: ....but I don't like copies. hmm that's kind of ironic. Just wanted to pop in and tell about my work on PP support for Minetest Game and several mods. I've superseded what mcresconvert can do by converting and editing manually both XSSheep's original textures and by collecting textures from PP "support packs". It's for 5.0.0 and lives over here. I may create another thread for it though that's also a bit weird.